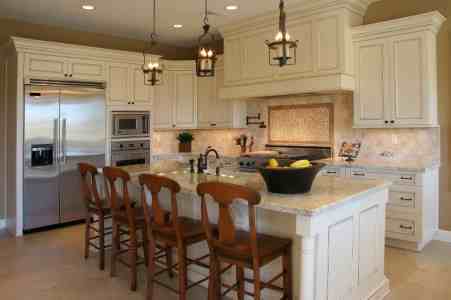 J & A Construction NJ Inc has over 19 years of experience providing professional home improvement services. From initial contact to final cleanup, J & A Construction NJ Inc provides superior renovation services, guaranteed to fit your budget and exceed your home improvement expectations. When you're ready to start your home renovation project, call J & A Construction NJ Inc for a free quote: (201) 371-6061. We handle all size jobs. Unless your home is brand new, there is probably at least one home improvement you'd like to make to your home. Our home improvement services include interior renovation (bathrooms, basements, kitchens) and adding outdoor living spaces (decks, patios, and porches). We also provide custom cabinetry, finish carpentry, gutter installation and maintenance, painting and drywall, custom storage solutions, and installation of windows and doors. Your home is your biggest investment. When you're ready to begin your project, call J & A Construction NJ Inc for quality work, quality products, and quality service. J & A Construction NJ Inc complies with all state and local building requirements. We handle every job professionally, whether you're looking for minor home improvement work or complete design and renovation. Don't settle for anything less. At J & A Construction NJ Inc, our goal is to make your dreams come true with quality craftsmanship and attention to every detail of your home improvement project. Why wait? Call (201) 371-6061 to find out how J & A Construction NJ Inc can help improve the quality of your life and add value to your home for years to come.